In partnership with his wife, Alison, Geoff Bergmeier manages a mixed grain and livestock enterprise near Lockhart NSW. 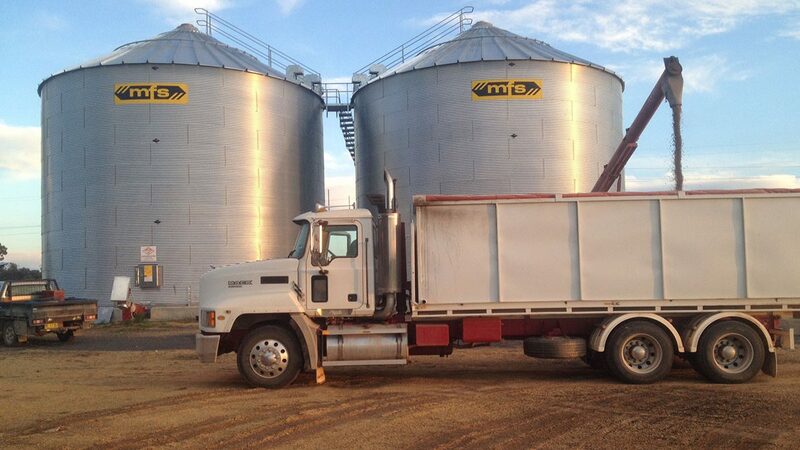 Their main grain production comes from canola, wheat and faba beans. Located in south western New South Wales, west of Wagga Wagga, Geoff is continually looking for opportunities to maximise production potential. “At the end of the day, you’ve got to stay viable,” said Geoff. Raising his family against the backdrop of the countryside is what Geoff loves most about his lifestyle and business. Geoff stored grain in small cone silos with low capacity, but soon realised this was the limiting factor to carrying grain for longer and enjoying greater market power. Whilst storing grain for longer was a priority, so was maintaining the top quality of his grain. Coupled with world class aeration, a custom vac aeration controller and fumigation recirculation Geoff found that with Allied. “Allied offer sealed silos that exceed Australian Standards. We opted for the two MFS 42-12 sealed silos along with a 13 inch x 92 foot Hutchinson swing-away auger,” he said. “Fundamentally, Allied ticked the boxes in the areas I felt were important,” says Geoff. A nice touch for Geoff was knowing that his silos would be safe and easy to use. The new system, while larger than the Bergmeier’s original setup, incorporates features which have made the transition a straightforward one. There’s no doubt Geoff has positioned his business ahead of the curve with capacity to store a generous 2,500 tonnes. By investing in the right grain storage for his unique situation, Geoff takes advantage of market forces which were previously less flexible. 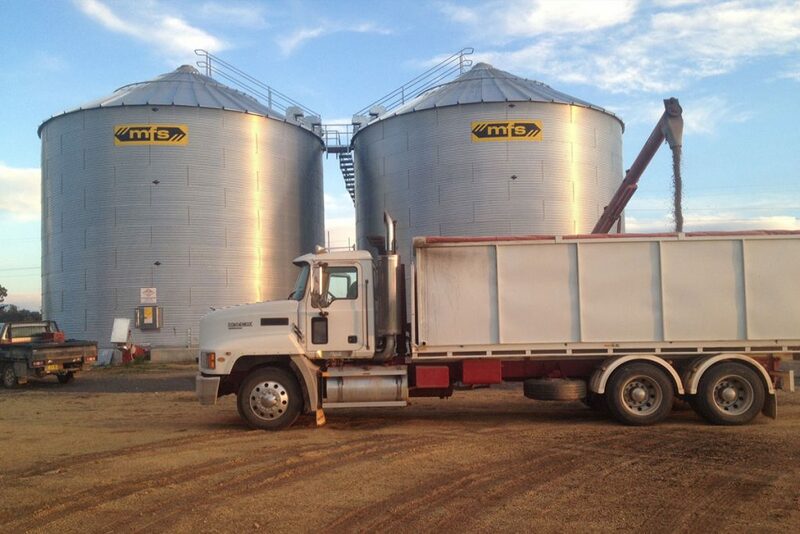 With so many competitors offering storage solutions, how did Allied make the grain in Geoff’s decision-making process? More than delivering on product it was the time and personal attention from Brian Smith, Allied Grain Systems’ On-Farm Storage Manager, which really won Geoff over. Taking Geoff out to see other customers’ silos to see the finished product in practice and gave Geoff an idea of how Allied could help his business made the decision-process simple. Geoff was looking for a storage solution that would complement the system he already had in place. Making that move into larger capacity on-site storage has made it possible for the Bergmeier farming family to enhance their productivity and maximise their profits. Brian helped Geoff through the entire process, from identifying the business goals, drafting the preliminary design right through to supply and installation of equipment and commissioning. If you would like a FREE consultation with Brain to talk about your specific situation and the different factors to consider in investing in a grain storage system, call 0448 827 473.